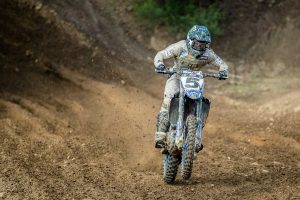 For the first time in 30 years, an Australian has claimed the premier class title at the New Zealand Motocross Championship. 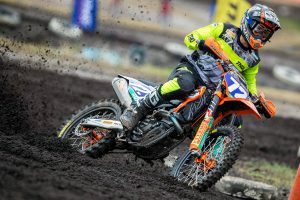 KTM Motocross Racing Team’s Kirk Gibbs managed to hold off the always-imposing Cody Cooper and hard-charging Kayne Lamont on his way to the title at Taupo over the weekend. 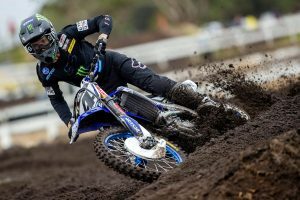 MotoOnline.com.au caught up with Gibbs just as the 29-year-old landed back in Queensland after a successful trip across the Tasman. Gibbsy, congrats on the claiming the title mate. It’s no small feat to beat the Kiwis on home soil. It’s a big thing for sure and I’m really happy with that – it definitely didn’t come easy. Obviously I didn’t have the best preparation coming in with my leg, but we were on the box every round and ultimately that’s what got it done for me. The past four or five years I’ve learnt a lot and my racing has matured, so now it’s not about winning every race, but just being consistent. No-one remembers the race winners, but they do remember the champions. Why do you think it’s so hard for Australians to win in NZ and vice-versa? There are a lot of factors, I think. This is normally still our off-season, so we had to start training earlier to be ready for the NZ championship, it’s only a three-hour flight but the time difference does affect you still, then there’s the different soil, tracks, speed – the Kiwis are no slouches at home – and you’re not in your own element. It’s the same when they come over to Australia. We have our own set-ups, everything’s planned, we don’t have to worry about getting groceries, we have the family support around, it’s all those one percenters that make a real big difference. It did help having been over there racing before, we slotted in well with the CML KTM team, and my mechanic Craig Bolton came to every round, so that definitely made life a lot easier. 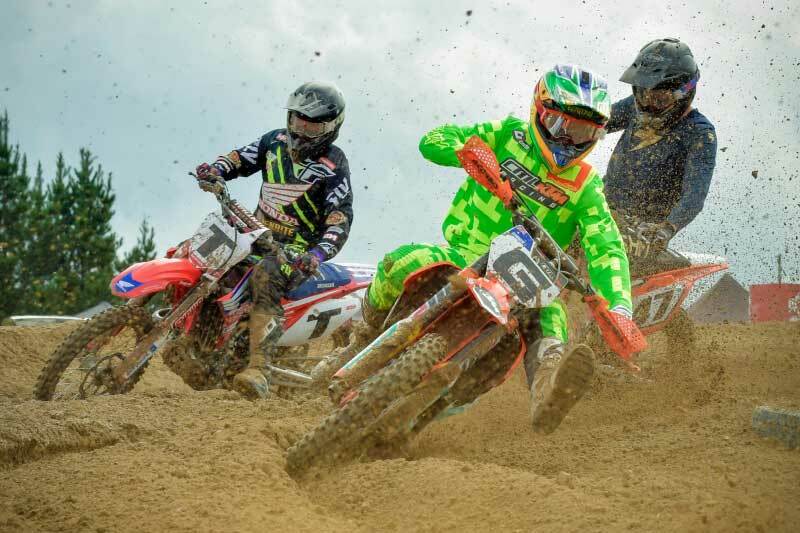 Take us through the final round at Taupo on Saturday. You scored a 1-3-3 result for second overall, but were you playing it safe? Yes and no. At the start of the day in qualifying I didn’t feel great, but as soon as the gate dropped on that first race, it all just clicked. I was hitting my lines straight away and everything felt easy and natural. It was a big thing for me to get a good win straight up like that. In the second moto I was in third and Kayne Lamont went down early in front of me. The track doubled back and I saw him still stuck under the bike, so I figured he’d be a long way back and wouldn’t be able to do much damage from there. From then on I rode within myself. I stalled it once and let Todd Waters past, but I didn’t force things too hard after that. In that third race, yeah I felt like I rode comfortably at about 80 percent and it was enough to get it all done. It’s a bit surreal to be a champion after just four rounds of racing, I feel like we should be going back over for at least another couple of rounds, but this win was really good for everyone at KTM and Australian motocross in general because it’s been so long since an Australian won that championship. I’m really pumped to break that drought. How was the competition from Cooper and Lamont this season? Oh, they were holding it on. Kayne came out firing at the first couple of rounds and Coops was right there as well. Every year Cooper seems to be bang-on every race, but this year he had a couple of slip-ups, as did Kayne at the end of the championship. 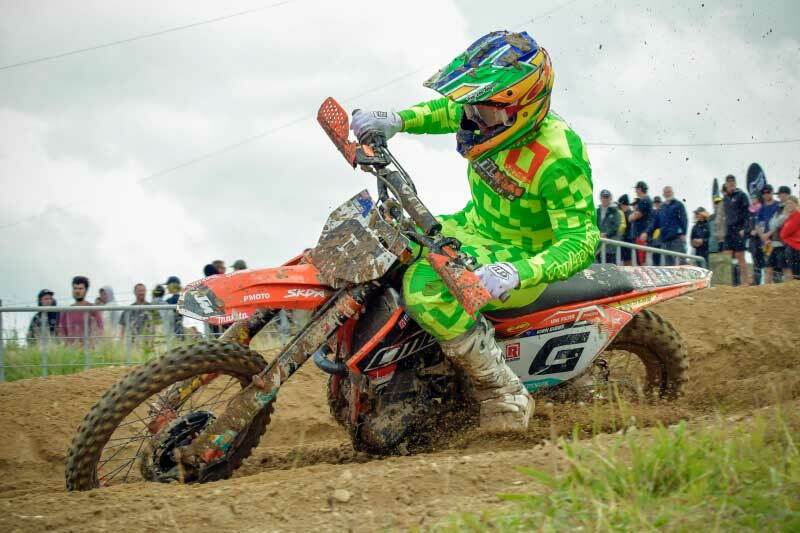 It wasn’t just them – Rhys Carter, Johnny Phillips, Todd, there were five or six guys who were going really well and winning races, so I just had to keep putting myself in good positions all season. And this was your first title since 2015. Were there any nerves associated with that in Taupo? I’m not going to lie, yeah, there were a few! The points were close and it’s a short championship, so it was a bit nerve-racking. I was a bit stressed out in the morning and rode a bit tight, but as soon as the motos came around I put it all together. I guess that comes down to what I was saying earlier about being older and smarter now. I know what I can control and not control and I just need to stay level-headed in those situations. How does this set you up for the start of the MX Nationals at Newry in three weeks time? You can’t beat the race atmosphere and the experience of being out there racing really talented guys to get you ready. I could’ve raced a few local rounds in Australia instead, but there might only be one or two fast guys there and racing more dudes on gnarly tracks is great for preparation. I feel like things are clicking a bit better than they have in the past and I’m really confident that we can keep the ball rolling. A win at Newry would be really nice, but I’ll definitely settle for a top three. With Dean [Ferris], Metty [Brett Metcalfe] and all the young, fast guys, you can’t let them get away too quickly, so if we can leave with a solid points haul, we’ll be happy with that. Nice one. Here’s to a great season ahead!